A reputation for being one of the best places in the world for rafting and kayaking, with greatest rivers journeys ranging from steep, adrenaline-charged mountain streams to classic big volume wilderness expedition. Nepal is a home to eight out of the fourteen highest peaks in the world with colorful and intricate Hindus religion to the Buddhist monasteries. From these breathtaking heights, rivers crash down through the foothills, fed by monsoon rain and melting snow, on their way to the Great Plains of the Ganges. As we know, in our contest rafting is one of the most attractive adventures and emerging industry. Rafting in Nepal is a favored destination for rafting enthusiasts and experienced river guides who travel the world looking for the best rivers to run. 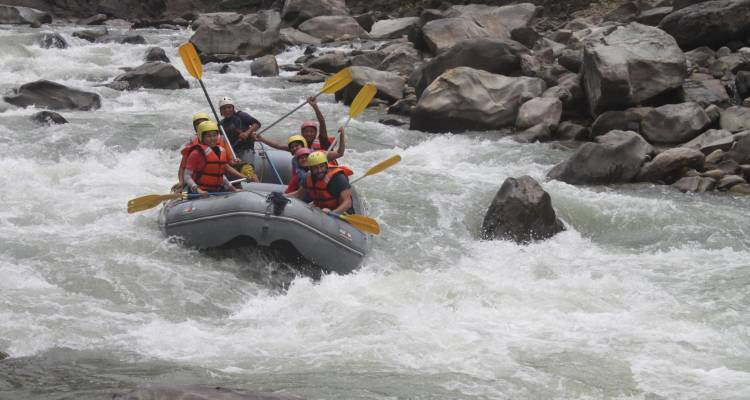 The grade that goes from 3 to 5+ grades Rafting options and from 1 day to 1 week or more days rafting options are available, that is the reason many believe Rafting in Nepal is rafter’s dream and paradise for rafters. Therefore, we are always keen to provide an opportunity to those raft lovers to explore on Nepal’s rivers.